Are you the parent of a child ages 3 to 4.75 years looking for a preschool? This preschool program is FREE and absolutely fantastic! Last year my little one and I where fortunate enough to attend a full years worth of the Think Together Early Literacy & Math Program. Make no mistake this is a complete preschool program. The program is two days a week, 3 hours a day. One parent/responsible adult is required to stay with your child through the duration of the program. On one day you are involved in a parent component and the other day you sit, side by side with your child and assist in their learning. I’ll be honest, when I first signed up last year I thought – Let’s see how it goes for a couple of weeks and then I’ll decide if it’s worth my time (I wasn’t very optimistic of the quality of the program) but I was so completely and thankfully 100% wrong! The program is wonderful! the program itself, the program director, the parent component (my favorite part) and the volunteer teachers are all awesome. I am so grateful that my little one and I have been invited back for an additional 15 weeks this year. My time spent at Think Together has truly refined my life. So here’s your opportunity, There’s still room and the program is FREE! Your time and investment in your child’s education is your payment. You do not have to income qualify for this program. 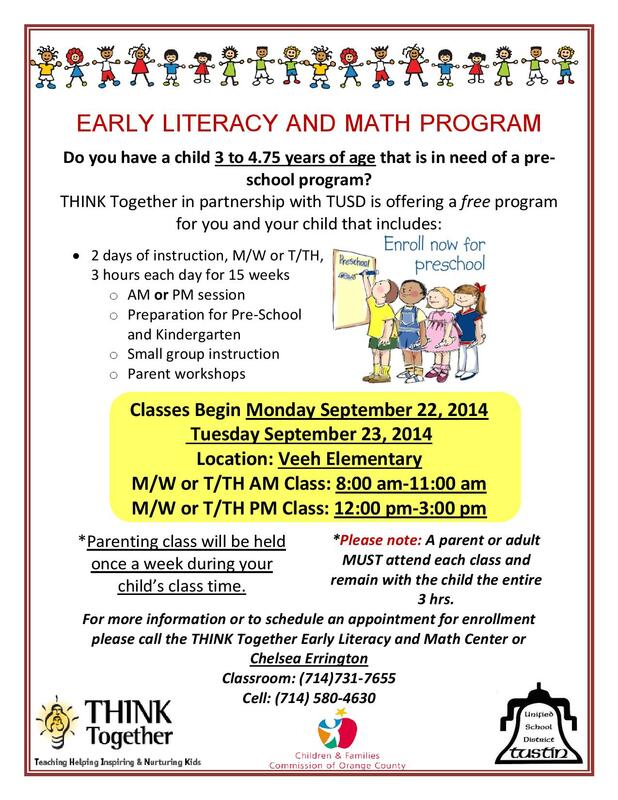 If you’re looking for preschool program, give this try. Everyone that I was in the program with last year, anxiously awaited the call to come back this year. This sounds like a wonderful program. We have co-op programs around here and they cost less but are not free. Isn’t it great what parents can do when they pool their talents and resources? Yes, it is great Zero-Waste Chef. I looked into a co-op but even that was a bit pricey (for our budget) and for the amount of involvement required. This preschool has been such a blessing for us and I’ve meet some amazing ladies.